Leaky toilet results in bathroom repair and remodel. 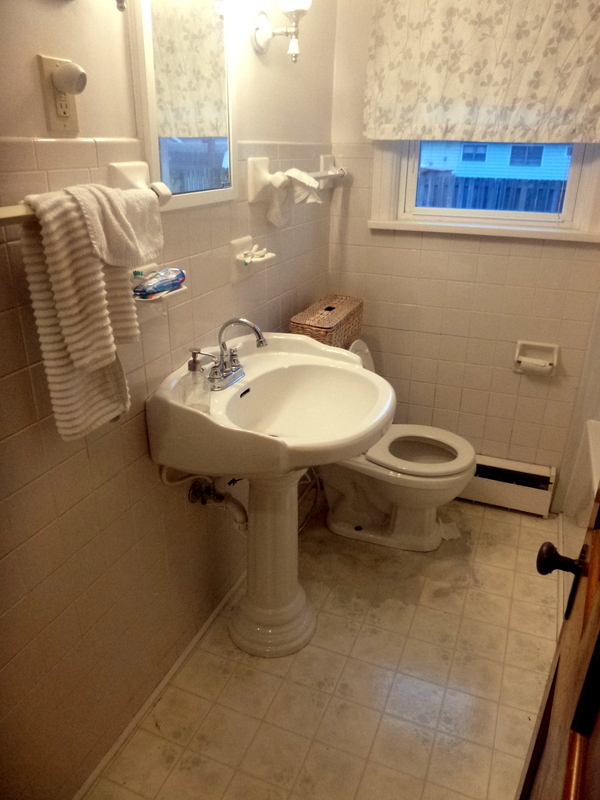 A circle of discolored vinyl flooring growing outward from the toilet signaled a leaky wax ring. Left alone, the floor would eventually rot away, but fortunately it was caught in time. 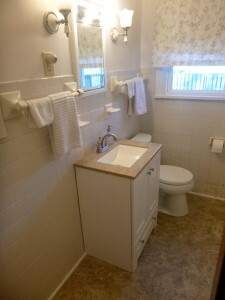 The old toilet, vanity, and vinyl were removed. The problem with the old toilet flange was found and remedied. A couple shut-off valves were replaced, and a problem with the sink drain where it entered the wall was fixed. Then new vinyl, vanity and low flush toilet were installed to complete this bathroom repair and remodel.